Just got back from Dr a few minutes ago…..everything is going fine and the baby’s heart rate was between 150 and 160. Baby is about 12 ounces now and was insanely stubborn with feet in between the legs the ENTIRE time!!!!! 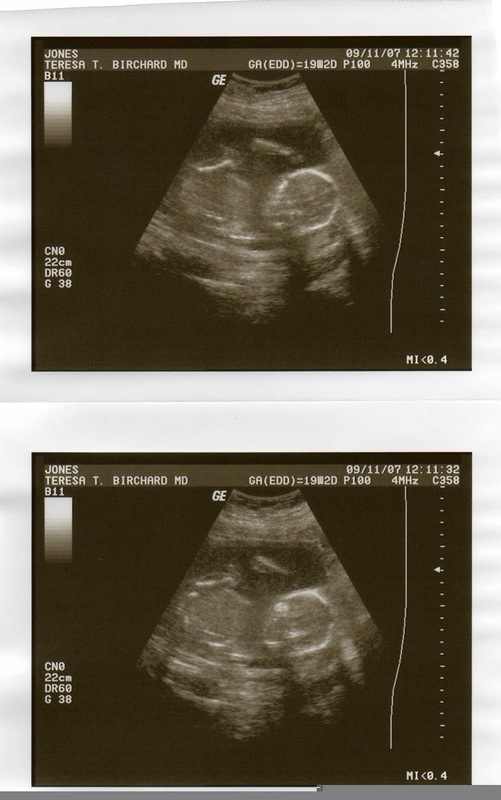 So, I have no more gender news…..just the news that two weeks ago it was 75% girl. 🙂 We’ll see in the future I suppose! I’m doing fine, a little sick today but that’s become quite normal…..and have gained only 6 pounds my entire pregnancy so far! I’m shocked to be honest! We are picking up the crib tonight and that will be our next little project!!! Wish us luck! Thanks to everyone for your support and love and prayers!!! We appreciate it so much! !